c) See a different healthcare professional. • Tell us if you change your mind about how we share the information in your record. Hillside Hair Clinic is registered under the Data Protection Act 1998. It abides by the law and observes good practice in maintaining confidentiality and appropriate information security. We will fulfil its obligations under this Act to the fullest extent, including ensuring that the following eight principles governing the processing of personal data are observed. Hillside Hair Clinic is also registered with the Care Quality Commission. This means that we are subject to ongoing inspection and regulation by the CQC. This includes checks by the CQC that we are observing all necessary and statutory guidelines for use of your data in line with Health and Social Care Act 2008 (Regulated Activities) Regulations 2014 (Part 3). • Send a letter about your care to your GP or other health professional at the end of your treatment, unless you tell us not to do so. • Work effectively with other services providing you with treatment or advice. • Monitor the quality of our care and help us to understand the outcomes of care. • Investigate any concerns or complaints you or your family have about your health care. • Provide information that is needed for financial transactions in relation to payment for treatment, such as billing. For private patients this may include details shared with your insurance company. If you have any concerns about this, please contact your insurer. • Train and educate staff. Hillside Hair Clinic has a designated Information Lead/Data Protection Officer who is responsible for protecting the confidentiality of patient information and making sure that information is shared where this is appropriate. • We have special permission because we believe that the reasons for sharing are so important that they override our obligation of confidentiality (e.g. to prevent someone from being seriously harmed). d) Complaints and concerns handling. We will normally share information about the progress of your treatment with the person you name as your Emergency Contact, unless you have told us not to do so. Your emergency contact should be someone that you trust and feel close to. It does not have to be a blood relative; it can be a good friend. We ask patients to name their emergency contact so that we know who you would like us to keep informed about the care we provide or the decisions we need to make. In identifying your emergency contact, you are giving us permission to keep her or him informed. However, note that since our Company provides principally diagnostic services only, it will not generally be appropriate for us to give general information about a patient’s health and such requests therefore should normally be directed to the patient's own General Practitioner or other health professional responsible for the patient’s care. Hillside Hair Clinic acts to provide information principally for other health and social care professionals who have requested this since they require further detailed investigations on their patients. So naturally we will normally need to share this information with your doctor who has referred you to our service. You have the right to request that your confidential information is not used beyond your own care and treatment and to have your objections considered. Where your wishes cannot be followed you will be told the reasons including the legal basis. You may at any time withdraw any consent you have previously given to us to process information about you. 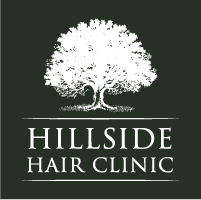 Hillside Hair Clinic is the Data Controller of the data it holds about its patients and staff. e) Could cause physical or mental harm to you or someone else. If you are currently receiving services from us and wish to view the record without obtaining a copy, discuss your request with the clinician in charge of your care. • You may be required to provide a form of ID before any information is released to you. Once you receive your records, if you believe any information is inaccurate or incorrect, please inform us.